The day after Michael Dell’s visit to Wharton on August 29, 2006, the Wall Street Journal published a front-page article entitled, “Consumer Demand and Growth in Laptops Leave Dell Behind.” The article replayed the drumbeat of bad news that has recently hit the $56 billion PC maker — a 51% decline in second quarter earnings from the same period a year ago, a stock price that is down 60% from its high in 2000, the exodus of key executives to rival manufacturers — and suggested that the company’s strategy of ignoring the consumer market plus its failure to maintain an efficient customer service operation have hurt its competitive position, especially with respect to rival Hewlett Packard. 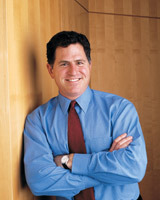 But Dell himself, in an interview with Knowledge@Wharton, brushed aside the numbers and focused on the upside. He highlighted the company’s success in emerging markets, its record market share, new tools and training to beef up customer service, and his confidence that the preference of consumers to buy online will continue to grow. An edited version of that conversation follows. Knowledge@Wharton: This is a fairly challenging time for you and the company. Your second quarter earnings are down, your stock price is down and there is the recent recall [of defective laptop batteries] that Apple is now facing as well. Do you believe that Wall Street views you differently as a result of all this? Dell: I think as we look at our business, certainly there are challenges that we have. It’s important to recognize a little bit of perspective on what’s happened in our company, particularly in the last 10 years. Ten years ago, this was a $5 billion business; now it’s a $56-to-$57 billion business. So, a lot of changes have occurred in 10 years. When you ask about Wall Street, I think there are many Wall Streets. There are the short-term traders, there are the long-term investors, there are people who really own the stock and then there are people who buy and sell it seven or eight times a year. What we are concerned about, as owners of the company, is doing the things that are going to create value over a long period of time. Knowledge@Wharton: Given the situation that you are faced with today, where do you see the opportunities for growth? Dell: If you look at our second quarter results, we actually had the number-one market share in the small computer systems industry — servers, work stations, PCs, notebooks — any computer that sells for under $100,000. We have the highest share that we have ever achieved in that category in our history. If you look more closely, what you see is there are certain markets that are growing at very rapid rates for us. We grew at 37% in China. We grew at 82% in India. We grew at 87% in Brazil. We grew at 78% in Mexico. Generally speaking, Dell is, in the United States, larger and more profitable than the next three competitors combined. Yet outside the United States, we have about 11% to 12% share. So what we have is a lot of space internationally to grow. We also have great opportunities in services. Services is a vast new land for us in terms of growth and expansion. Today, we are concentrating on infrastructure services. If we were doing this interview in 5 or 10 years, I think that we would be talking about many other services as well. But today, [we are focusing on] infrastructure services in the form of migration, deployment and managed services, where we will manage the entire life cycle of the client environment for a large company or an institution [including] … installation, training, asset management and, of course, maintenance. Dell is the largest provider of hardware maintenance services for computers in the United States. So services is a big area of growth for us also. Knowledge@Wharton: A lot of companies are focusing on the BRIC [Brazil, Russia, India and China] economies. While you have grown in China and in India, these are highly competitive markets. How do you take on someone like Lenovo in China or HP in India? What’s your competitive strategy in those markets? Dell: If we look at China, we’re at a little bit of a different stage than where we are in India. In China, we’re number one in the server market for the country. We have a large and nicely profitable business — quite a bit more profitable than all of the competitors that you have mentioned. It’s running at over a $2 billion run rate for us. I think that if you look at our model of building relationships with customers, which is quite different than setting up dealers, there is a gestation cycle to do that. In other words, you don’t just show up in a country, then all of a sudden have 50% of the market. If you look at all the countries that we have entered and you compare our progression of growth and share in those countries, what you see is that almost all of them are exceeding the curve that the United States was on when we started here in the U.S. China is a stand out example of a country where we have grown faster and further than anyone would have expected. Japan is an interesting kind of retrospective, because when we started in Japan in late 1992, the conventional wisdom was, “Well, this is really not going to work in Japan.” If you fast forward to today, we are now number one in the desktop market in Japan and number two overall in the Japanese market. We have a very profitable and successful business, roughly a $3 billion business, and it continues to grow in a very steady fashion. So when we look at southern Asia and a number of high-growth countries with large populations that are industrializing — China, South America, the emerging countries in Eastern Europe — we see high growth. Yes, they are competitive and yes, some of our competitors might have gotten a little better then they used to be, but Dell still has fairly significant structural cost advantages it can bring to customers that allow us to deliver great value. Knowledge@Wharton: You have lost a number of key executives to competitors, especially in the emerging markets. And Kevin Rollins has had some bad press lately. How would you characterize the management leadership style that you seek to promote at Dell? Dell: I think we have quite a broad team of executives in our company. I think the leadership style that we have at Dell is one of results, accountability and action. We’re a high performance team. Admittedly, we haven’t been high performing in these last couple of quarters. However, let’s not forget that while we have 18% to 19% of the market we are in, we maintain about 60% of the profits of the industry. The competitor that hired those folks away made $5 million last quarter. Knowledge@Wharton: Is there a chance that you would step back in and work a little more closely with Kevin Rollins and take over some [of his] responsibilities? Dell: I couldn’t step back in any more than I already have because I never stepped out. I apologize, but your question fails to understand how we operate our company. At Dell, Kevin and I have operated together for most of the last 10 years. He has had a major operating role with the company for the last 10 years running somewhere between 70% and 100% of the business. He and I are intimately involved in running every aspect of the company together. Knowledge@Wharton: Earlier this year, BusinessWeek ran a story about the most innovative companies in the world and named Dell as one of them. A lot has been written about how innovative you were in the way you manage your supply chain. Do you think that this is something that the rest of the industry has now tried to replicate and has your competitive advantage declined because of that? As a follow up, what is the next big innovation that you see at Dell? Dell: If you look at market share, Dell had record market share in the current period. I think that there have been some competitors that have certainly improved their supply chains. But if you look at basic metrics, like return on capital or inventory management, they haven’t approached anywhere near the level that Dell does with its supply chain. For us, innovation is not just about supply chains. It’s also about products. It’s about customer relationships, and one of the areas where we are driving a lot of innovation today is in services and service with our customers. Let me give you an example. We have been doing quite a lot to apply more resources and improve the level of service we offer to our customers. You can do that simply by adding more people. We are doing that and giving [them] better training. We’re also looking at tools and how you can create a persistent connection with your customers using software as a service that really changes the nature of the relationship. An example of this is we have a new tool called Dell Connect, where a customer contacts us with a problem [he or she] is unable to solve. If they have a broadband connection and they give us permission, we can log into their system remotely and solve the problem. This is not something that would be too surprising to have inside an organization, but to actually reach out to an individual consumer and do this is quite powerful and takes problems that would otherwise be quite perplexing to users and solves them very, very quickly. We also have a new series of tools that we are going to be rolling out in the next few months that take this connection even further, providing tune-up and online diagnostic capabilities. We have a tool called Dell Support that has 21 million active users today and provides the user with information to prevent problems before they occur. Knowledge@Wharton: You’re obviously making significant investments in customer satisfaction and in customer service improvements. How are you tracking these improvements and how much of an impact do you think they will they have on your bottom line? Dell: We think it will have a positive impact on our bottom line. What we are seeing in our internal and external measurements is increased likelihood to repurchase, which is really what loyalty and satisfaction are all about. For example, Investors Business Daily came out with a survey which [looked at] likely buyers in the United States for personal computers. For likely desktop buyers, in the month of July, 50% of them preferred Dell as the brand of choice. That’s about 20 points higher than what our market share is. The company just below us was actually two brands — you might know what company I’m talking about. Their two brands together combined to 12%, perhaps 15%. In notebooks, the preference for Dell was 60% — the highest it’s been in three years. A similar survey was done by Forrester Research, not with consumers like the Investors Business Daily study, but with large institutions and corporations. There was a 56% preference for the Dell brand in desktops and a 53% preference for the Dell brand in notebooks. Both increased on a year-to-year basis. The next two competitors combined — not two brands, but two separate companies together — were 36% in both cases. We maintain a strong preference, and our internal studies also show improving likelihood to repurchase. So, what are we doing in support? You might have heard several months ago we announced that we were investing $100 million and adding thousands of people and retraining additional [staff]. We’ve increased that number to about $150 million. If you go online to Dell.com, you will see a very different Dell.com than you would have seen six months ago. You might say, “Who sees that?” About 450 million visitors a quarter see it. It’s actually an enormous part of our customer relationships and interaction with customers. I mentioned the Dell Connect investments. Basically we are using this opportunity to reexamine every aspect of the company and remake the company as broadly as we need to, to ensure that we continue to be the preferred brand, not just in the United States … but around the world. Knowledge@Wharton: Earlier you talked about how services are important to your growth going forward. You said that in the near term those will be infrastructure services, but in five or ten years there might be other kinds of services. What might those be? Dell: Well, services is a very big category. As far as things other than infrastructure services [go], Dell is a young company. We’re continuing to evolve. So today, for us to go deep into vertical markets and try to apply domain expertise — there’s a limit to how much of that we’re actually doing. To be a little more specific here, if a customer wants to do a [Microsoft] Exchange deployment, we do those all the time. We do them at high volume. We can do that for medium-size and large companies extremely well. If you want to do an Oracle database implementation or a [Microsoft] SQL Server database implementation, or a cluster design and installation, or a Unix-to-Linux conversion, we can do those kinds of things. But if you say, “Well, I’d like you to customize SAP for us,” we don’t do that. We’re totally focused on infrastructure services today. And that’s a huge part of the market. It’s a logical place for us to go, given our product footprint. Our external storage business last quarter grew 37% in revenues, year over year. As we are growing those parts of our business with advanced servers and storage, having the professional services to go along with them is essential. Knowledge@Wharton: You announced recently that you would end your longstanding exclusive relationship with Intel and start to ship AMD processors, both with server and desktop products. What drove that choice? Knowledge@Wharton: Customers were asking for another processor? Knowledge@Wharton: Will this change your relationship with Intel? You have had a rather symbiotic partnership with them, where they do a lot of R&D and you do the marketing and sales. Will that change now that you’re not an exclusive vendor of their products? Dell: We’re their largest customer. I would expect we would remain their largest customer. You’ll have to ask them if it’s going to change the relationship. Knowledge@Wharton: Historically, you haven’t had a lot of growth through acquisition, although you recently acquired Alienware [a maker of high-end PCs popular among video game enthusiasts]. What was behind that? Dell: We have a product line in our consumer business called XPS, which is quite an exciting area for us in terms of enthusiast users. Alienware is a company that has also created a brand with somewhat different attributes in that same space and has done quite well with it. That’s a very attractive part of the market. We haven’t really changed that business at all. We have let that team continue doing the great work that they have been doing, giving them better material costs, helping them a bit on some supply chain and infrastructure things, providing some capital. But it’s a great brand that has a very loyal following and has a lot of excitement to it. Knowledge@Wharton: Should we expect more growth through acquisition or will it be organic? Dell: We certainly could. I’m not a big believer in massive acquisitions. But we’ll certainly keep our minds open to opportunities. Knowledge@Wharton: When you talked about the Alienware acquisition, you hinted that the consumer segment is very important. As you look for growth there, does the direct sales model work as strongly? Aren’t these the kinds of products that people want to see and touch before they make a purchase? And as a follow up, how are you going to compete against companies that have a long and deep history here, like Apple, Sony and Samsung? Dell: That’s a good question. Let’s also reflect upon what has happened in the U.S. consumer market for computers during the last six years. In the year 2000, Dell had a share in the U.S. consumer market of 6%. And by the end of 2005, Dell had over 30% share in the U.S. consumer market. So, what was your question? Knowledge@Wharton: So, you think the model does work here? Dell: I don’t have to think about it. The demonstrated data suggests [it]. Let’s just step back and look at this. In 1995, what was the likelihood that somebody would purchase a book online? And what was it in 2000, what was it in 2005 and what is it going to be in 2010? And what about for computers? Do you think it is going up or down? Well, I happen to think it is going up. I’m sticking with the notion that online, as a way of interacting with customers, is a very powerful idea. Having said that, I think there are lots of consumers out there, and not all consumers will fit into one notion or another. All that I am saying is the preference to buy online will continue to increase. That also doesn’t preclude Dell from exploring ways of addressing the folks who don’t have an inclination to buy online, even though this might be a declining percentage of the market — remembering that in the last four to five years we went from 6% to 30% of the U.S. consumer market. So, what are we doing? Well, we have kiosks, or these kinds of small Dell stores, that exist in about 150 to 160 high-end malls and some larger airports. We have basically a full store in a Dallas mall that we are testing to understand what the attractiveness of that is. We do quite a bit to get our products in front of customers. One of the things that we know about our consumer business is that Dell has a great presence among large corporations and institutions. In fact, if you have over 500 people in your organization, there is an 85% chance that you have Dell products inside your organization. And so, a very high percentage of the American population that is likely to want to purchase computers has used or is using our product. Also, we just opened a test store in a city in China and we have a number of these in Japan that we are experimenting with. But the online traffic dwarfs all of this. It’s much, much larger. Knowledge@Wharton: What about countries where the PC infrastructure is not that strong and where mobile telephony is growing faster than PCs? How do you address that market? Knowledge@Wharton: India, where there are 100 million cell phone users. Dell: India is a great example. The truth is that we don’t go after the consumer first. We go after the largest businesses first. If you think about an entry into a country, what do you really do? Well, we don’t go into a country and say that we are going to serve every customer, every place, all the time, starting today. We start with the multinationals and the largest of the local firms and we build a sales force. We build relationships and kind of get that going. Then, after some period of time, we’ll move into the government sector and medium-size businesses. And then after some more time, we’ll move into smaller businesses, and as a result of going after small businesses, we also attract some number of consumers, even if we are not intentionally, at that point, speaking to the consumer per se. Eventually, we will more explicitly target the consumer. Now this could take several years. But it has also resulted in a leading share in the industry and in the world and a disproportionate percentage of all of the profits in the industry. So we’re going to keep doing it.